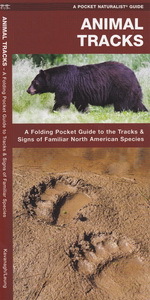 This pocket fold out guide provides simplified field reference to familiar animal tracks. 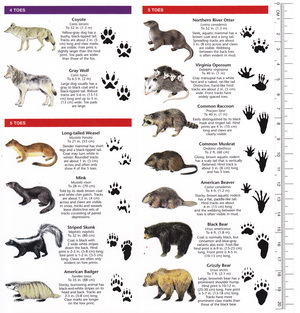 It is important to note that tracks change depending on their age, the surface they are made on, and the animal's gait (e.g., toes are often splayed when running). 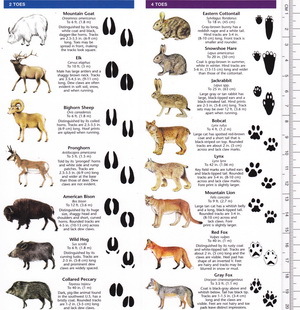 Tracks are illustrated with the fore print above the hind print and are not drawn to scale.